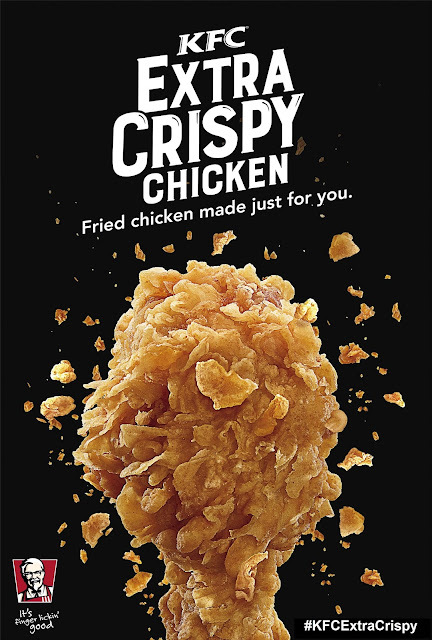 Start the year Extra Crispy with the New KFC Extra Crispy Chicken - Hello! Welcome to my blog! MANILA, Philippines – New year, new you? Why not try a new and exciting chicken meal, too? Give your taste buds something different to crave with the new KFC Extra Crispy chicken! Made finger lickin’ good, KFC’s Extra Crispy chicken is double breaded by expert hands and fried to crispy golden-brown perfection. Every bite into this delicious, non-spicy offering is sure to be juicy and packed with extra crunch, that you just might want to consider getting extra rice, too. You can enjoy the KFC Extra Crispy chicken in any KFC meal of your choice, but the winning combo is KFC Extra Crispy chicken with rice, regular drink, creamy junior mushroom soup, and KFC’s signature gravy all for just *P99. Also available for a limited time only is the Bucket of Fortune priced at P620.